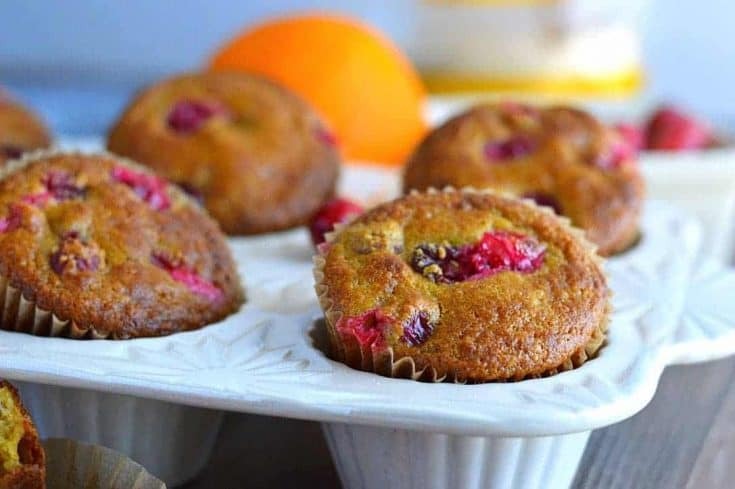 These Grain Free Cranberry Orange Muffins are a great grab-and-go breakfast for busy mornings. 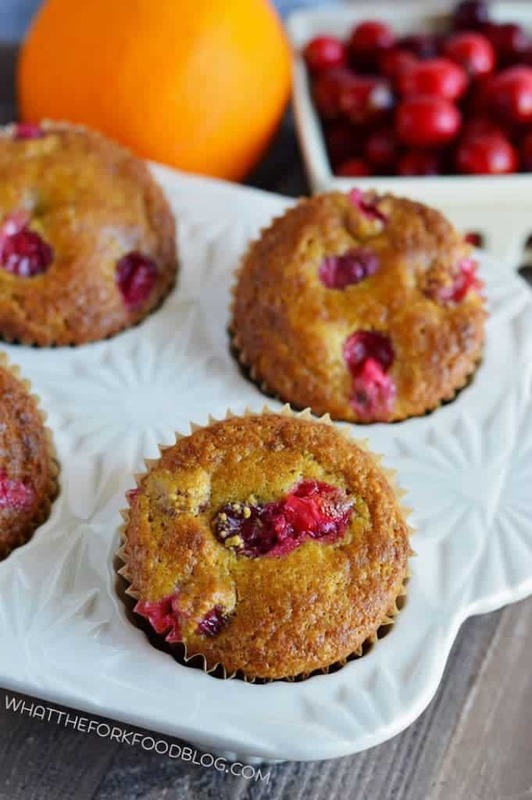 They’re full of citrus flavor, and tart cranberries- the perfect winter wake-up! I don’t know about you, but I feel like every day in December is such a rush and goes by in a blur. There’s the shopping, the baking, the parties, the decorating, the wrapping, etc. It’s a jam packed month. 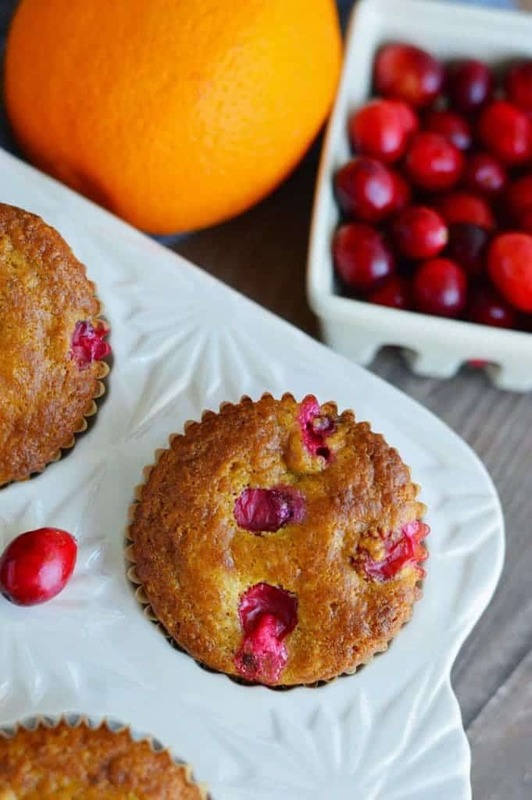 Since you’re most likely on Christmas cookie overload, these Grain Free Cranberry Orange Muffins are a great way to start your day on a healthier note. Not only are these muffins gluten free, they’re also grain free and sweetened with Tate+Lyle® Honey Granules. I’ve used their granules before, in my Honey Banana Coffee Cake, and I really enjoy baking with them. I love the ease of being able to scoop and measure the granules without making a sticky mess. Because one less is a small victory, am I right!? There are quite a few uses for Tate+Lyle® Honey Granules. You can bake with them and they’re also great in drinks, both hot and cold. I use the Honey Granules most often when baking though. I sub the granules 1-for-1 with regular sugar PLUS an extra ¼ cup of liquid. 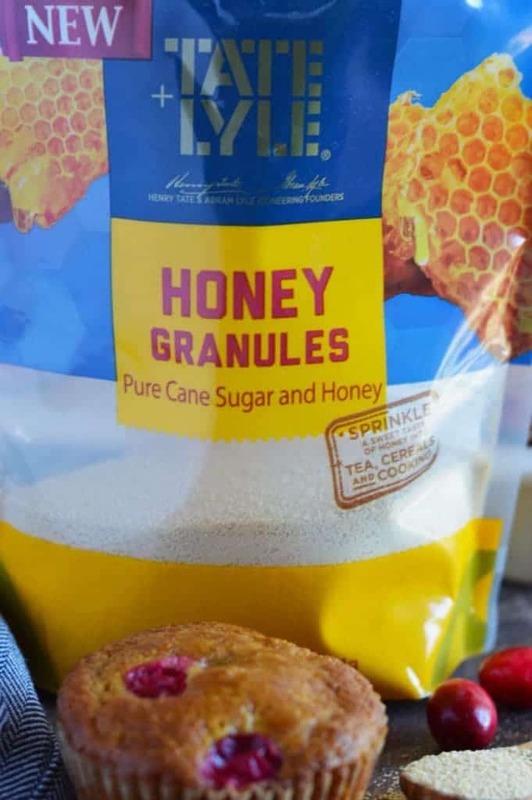 FYI: Tate+Lyle® Honey Granules are sold exclusively at Walmart and you can find them here. I love using cranberries this time of year. Since they’re still in season right now, they’re readily available. To me, cranberry is a quintessential holiday flavor. The cranberry, orange, and honey flavors all pair so well together. This is definitely a breakfast that you can feel good about during this month of holiday treats. PS- If you’re craving another flavor of muffin that doesn’t involve cranberries, try these Blackberry Oat Muffins from Alisa at Go Dairy Free. 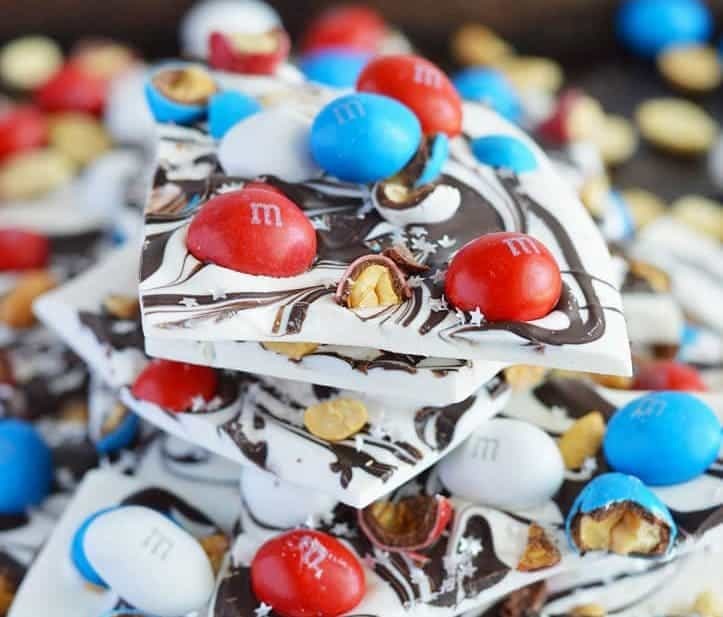 They are dairy-free, nut-free, peanut-free, soy-free and vegetarian. Enjoy! Preheat oven to 350 degrees and line a 12 cup muffin tin with parchment muffin liners. In a medium bowl, whisk together the melted ghee, eggs, vanilla, orange zest, and orange juice. Set aside. In a large bowl, whisk together the almond flour, arrowroot, coconut flour, baking soda, and Honey Granules. Form a well in the center and pour in the wet ingredients. Stir until combined and then fold in the cranberries. Divide the batter evenly between the muffin cups and bake 18-20 minutes or until a toothpick comes out clean. 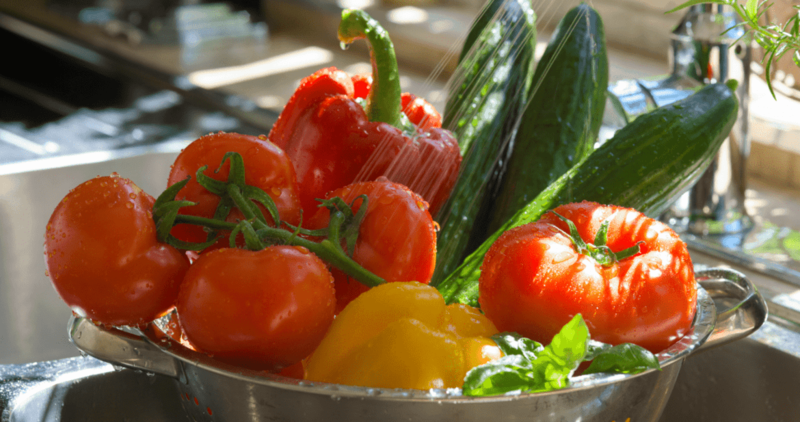 Cool in the pan for 1-2 minutes then remove from the pan and cool on a wire rack. Store up to 3 days in an airtight container at room temperature. These muffins look picture perfect! It’s hard to believe they are gluten free! Two of my favorite flavors in a grain-free muffins!? Added to my breakfast menu, I’ve been in a total breakfast rut lately. Do the honey granules help with cookies and that kind of thing without making it sticky while scooping them onto the sheet and so on? Love cranberries and orange together, Sharon. So festive. I have seen these honey granules around but haven’t tried them yet. Gotta do it! These muffins look scrumptious, would love them on Christmas morning! Cranberry and orange are match made in heaven! And these muffins sound like the perfect way to start any day. Plus those honey granules..sounds like I need to get my hands on them! 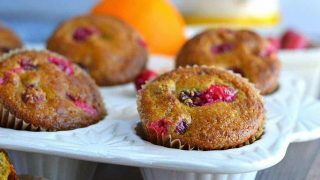 So hard to believe that these are grain free – love the cranberry orange combination! I am so into the cranberry/orange flavor combo right now! It is perfect for the holiday season. 🙂 These muffins look fabulous. Oh man those muffins looks so fluffy and sweet. LOVE! These are my kind of muffins! 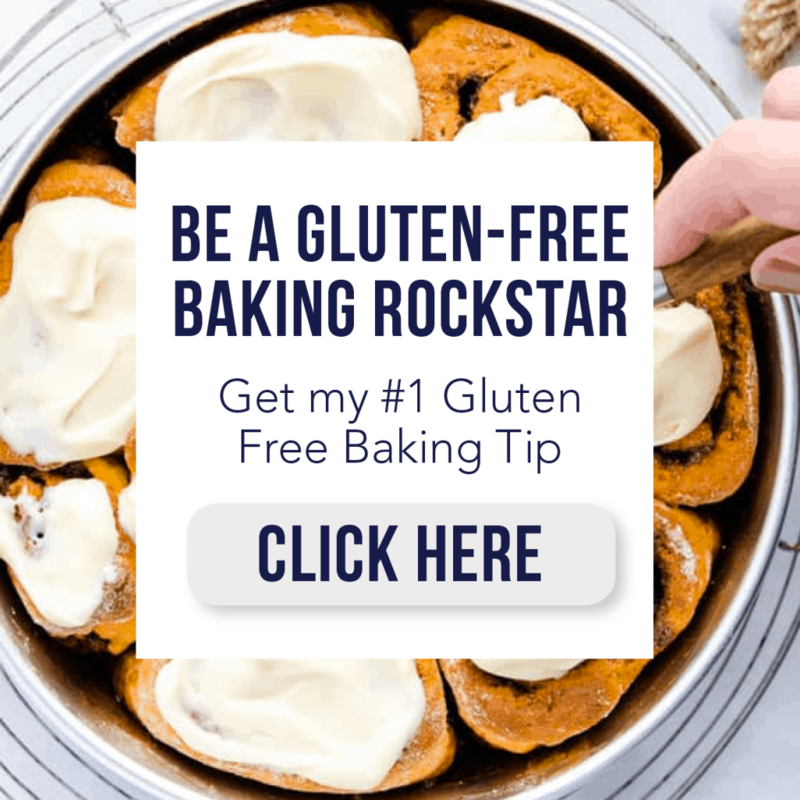 I love the flavor combo and its perfect for me cause they’re gluten free! Can’t wait to try! These muffins look absolutely DIVINE! I love the flavors…and I love that they’re grain-free! 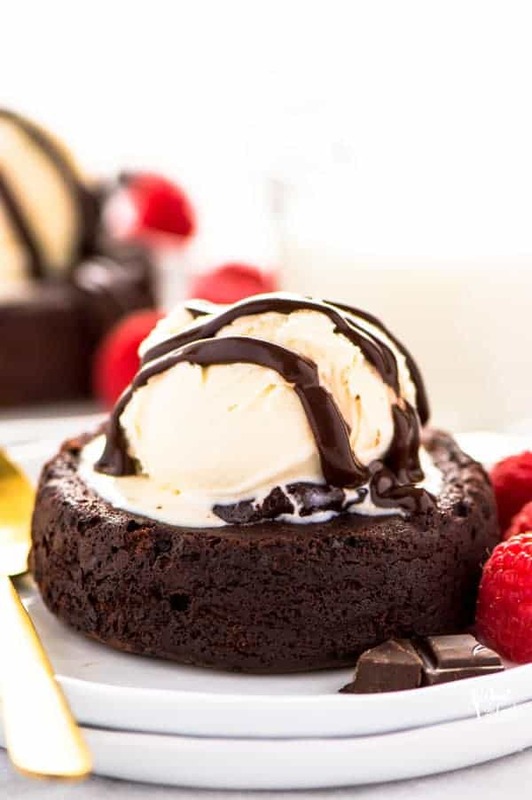 Looks delicious! I love the orange cranberry combo. And those honey granules sound amazing. I LOVE the flavor of honey in my baked goods. Quick question. I’ve been toying with the idea of omitting xanthan gum in my baking. I noticed these don’t call for any xanthan gum. How is the texture??? Well you inspired me. I just made some amazing pumpkin streussel muffins without xanthan gum and they were delicious! I’ll be experimenting a lot more without the xanthan gum now. Thanks a ton! Can this be made in a loaf pan as a bread. If so what size pan and how long to bake. Sounds so good. I’ve never made this in a loaf pan BUT you could try it in a 9×5 inch pan and start checking it for doneness after 40 min.